Dubai is a destination which mixes a rich heritage going back to prehistoric times with the modern touch of overwhelming and abstract architecture, exquisite shopping malls, and luxurious accommodation. Are you planning a vacation to Dubai and wondering where to stay? 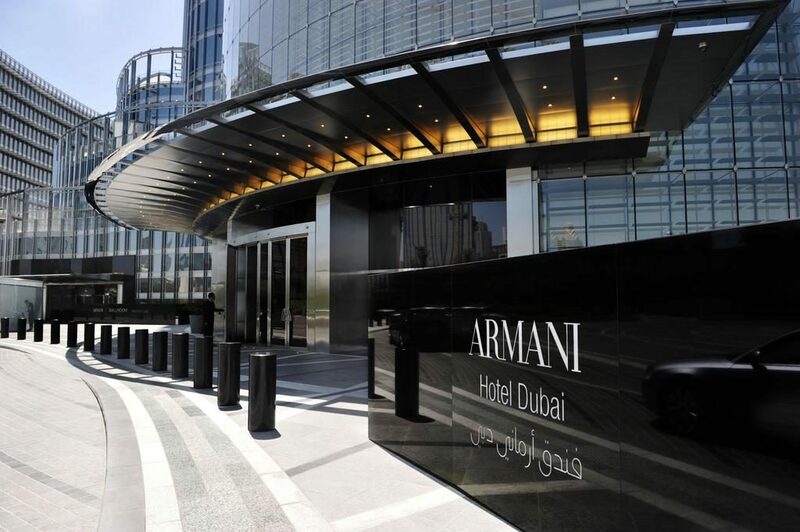 We’ll take you through the best hotels in Dubai, so you can decide more easily. 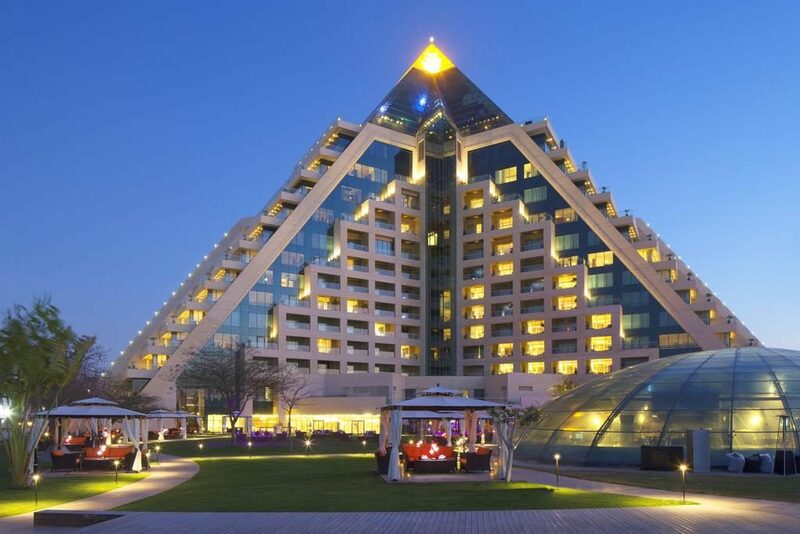 The Waldorf Astoria Dubai hotel is an astonishing destination and is located on the Palm Jumeirah. It offers luxurious rooms, a remarkable private beach, and distinctive signature restaurants. The hotel offers a mix of dining experiences in its amazing 6 restaurants. Serving Arabian dishes as well as Southeast Asian tastes, the Waldorf Astoria makes sure you’re completely satisfied. Make sure you visit the Serafina Bar where you can enjoy a cocktail and enjoy live entertainment in the evenings. 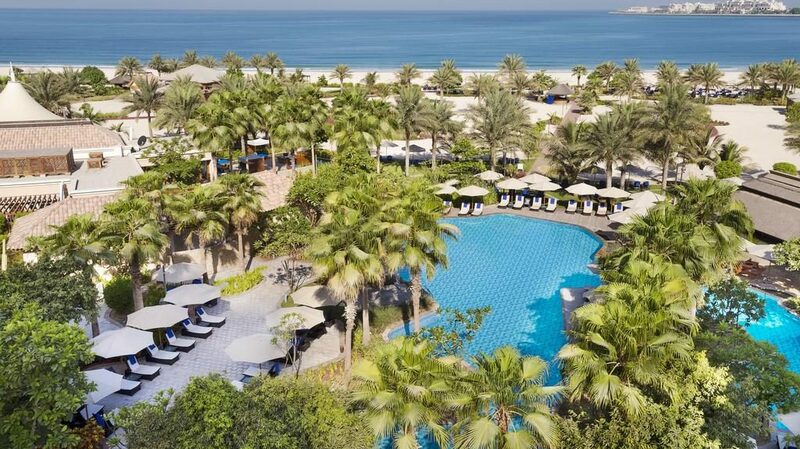 One & Only The Palm Resort is a jewel in Dubai. 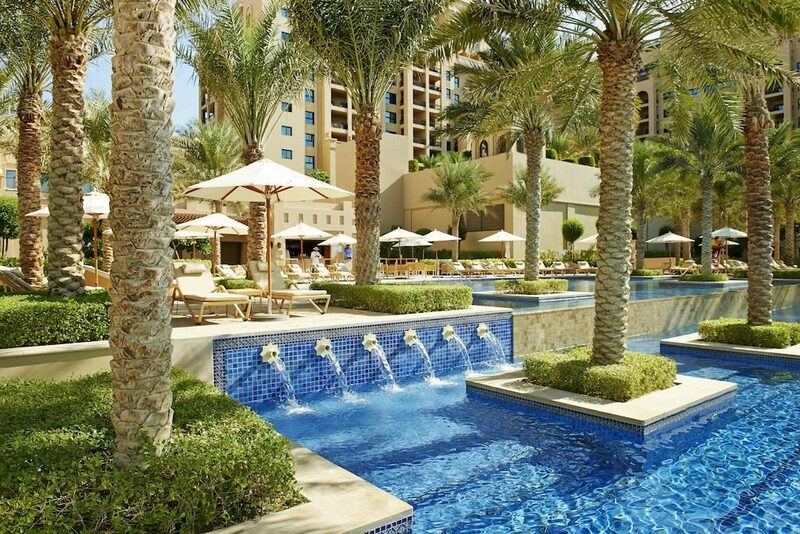 Located on the Palm Island, it’s the reflection of stylish and prestigious design. 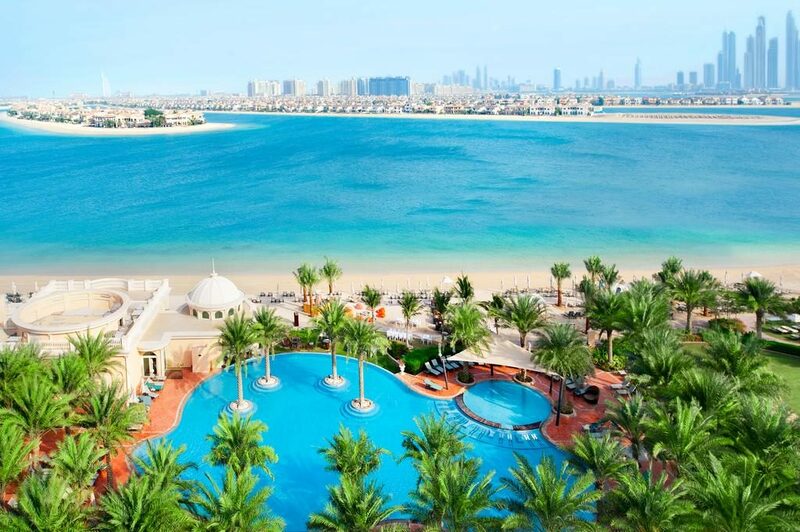 You can enjoy astonishing panoramic views from your suite or take a walk on the lush private beach on the Palm Jumeirah. The One & Only has elegant and spacious rooms, suites as well as villas which are perfect if you’re traveling with your friends or family. The Beach Villas offer customised service and direct access to the amazing private beach. If you’re a fan of healthy dining, make sure you book your table at the over-water Marina Restaurant, Bar & Lounge. Guests can also enjoy dishes offered by the One & Only Royal Mirage in its 7 restaurants. You’ll have to take a water taxi to get there, though. 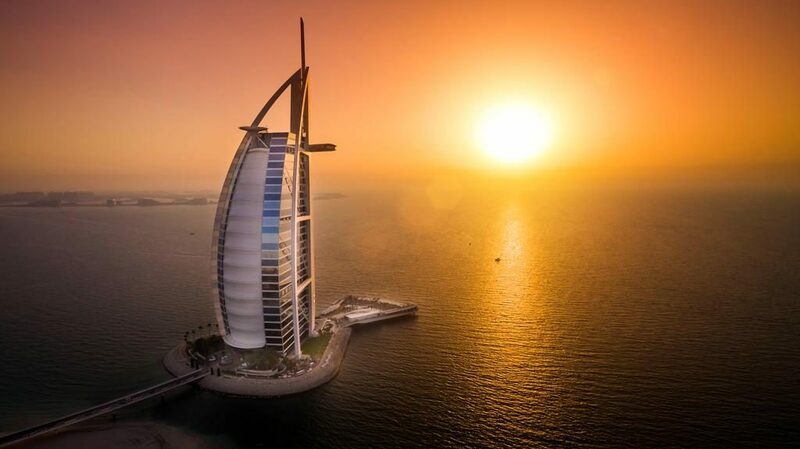 If you want to feel like royalty, make sure you stay at the Burj Al Arab Hotel. Located on its own island, the Burj Al Arab features ultra-modern and splendid suite. All of the Burj Al Arab suites have floor to ceiling windows and are equipped with ultimate technology. The hotel’s 9 restaurants and great staff will make sure you enjoy excellent dining experiences. If you’re a thrill seeker, go ahead and drink a cocktail or have your coffee at the Sky View Bar which is suspended 200 metres above sea level. 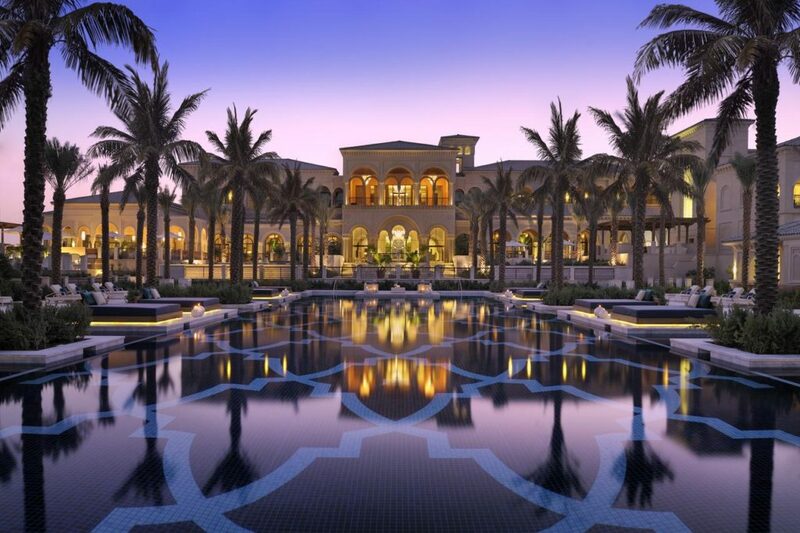 The Palazzo Versace is located in the centre of the Culture Village and is an 8-minute walk from Downtown Dubai. The hotel’s interior design is custom-made by the House of Versace. The 215 hotel rooms and suites, as well as the 169 residences, have tailor-made Italian furnishing. The hotel offers excellent fine dining in its 8 restaurants with al-fresco terraces and 3 spectacular pools featuring mosaic tiles. For a bit of fun, The Palazzo Versace offers complimentary access to Nikki Beach Resort & Spa’s pools and beach. 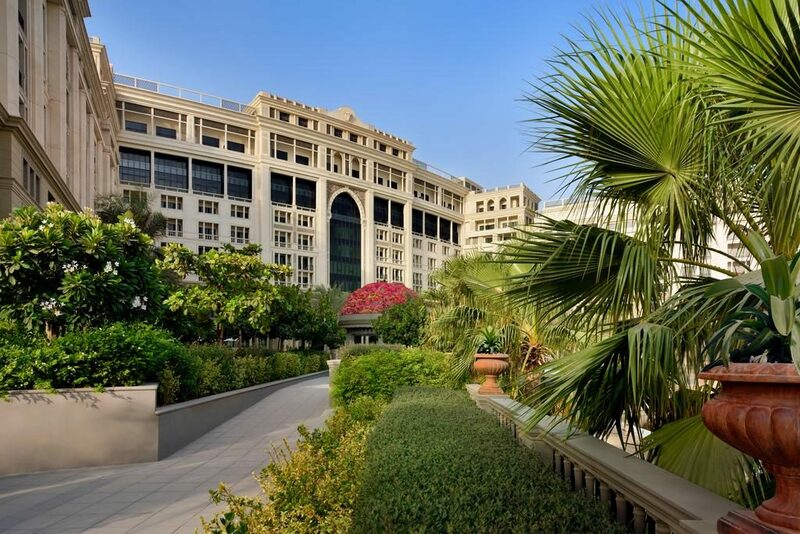 St Regis is part of the Al Habtoor City development and only 10 minutes away from the Dubai Mall. It’s now named the Habtoor Palace. 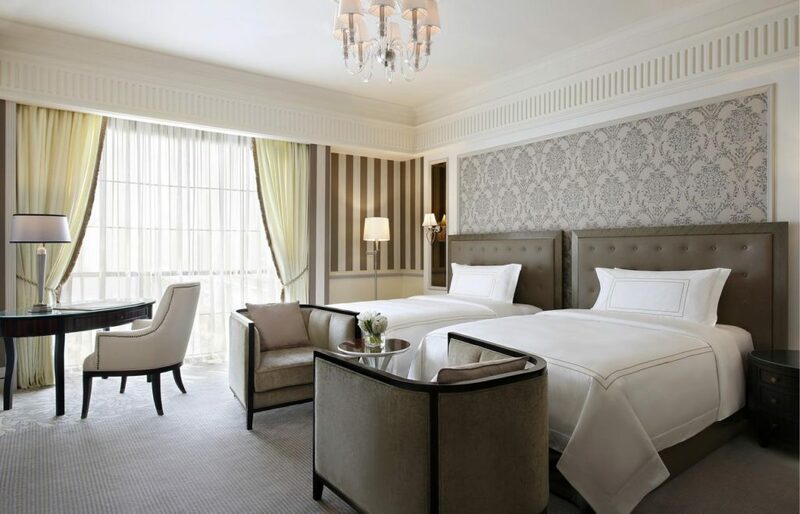 The 234 rooms range from Deluxe to Grand and Royal Suites. You can enjoy an afternoon coffee at the French Café and grab a quick snack at the Brasserie Quartier. For a bit of an American feel, you can have a Golden Mary at the St Regis Bar. After that, book your table at the J&G Steakhouse. You’ll have an amazing time staying at this hotel. Inspired by the pyramids of Egypt, the Raffles Dubai hotel is designed to mix Egyptian culture with Dubai’s contemporary style. All of the hotel’s rooms have customised and handmade ornaments and luxurious fabrics. You’ll be pampered in the extravagant saunas and steam rooms and can enjoy outdoor relaxation by the luxurious swimming pool. The hotel’s 7 restaurants include Japanese cuisine as well as traditional Arabian dishes. If you’re looking to do a little bit of shopping, you can go to Wafi Mall which is right next to the hotel. This hotel occupies 11 floors of the Burj Khalifa skyscraper, but it has a separate private entrance. All rooms have Japanese tatami furnishing and lush fabrics. A prestigious dining experience is offered by each of the hotel’s 7 restaurants. For a night to remember make sure you go to the Armani Privé club. If you want to relax, you can enjoy the luxurious Armani Spa to enjoy special treatments with exclusive products. 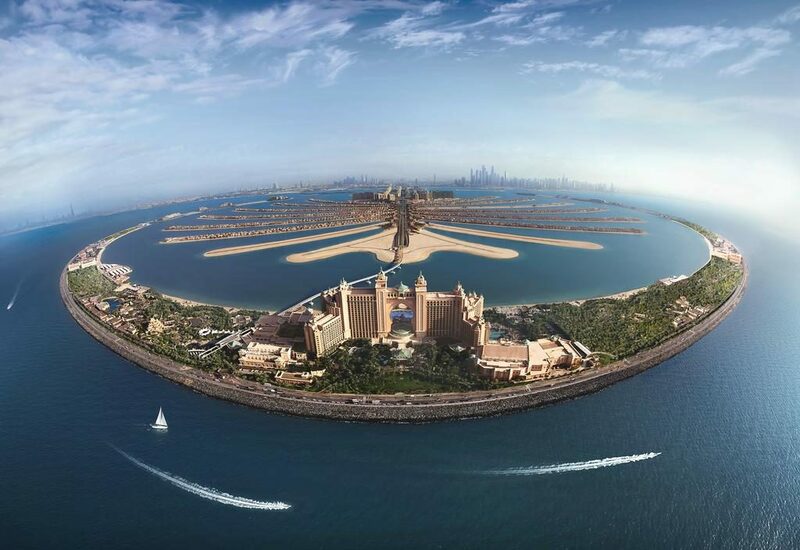 The Atlantis hotel offers extraordinary views of the Arabian Gulf and has an amazing underwater aquarium. The Atlantis’s rooms have an oceanic inspired décor and feature Arabian styles. Culinary experiences are diverse at the Atlantis. The restaurants serve from traditional Chinese dining at the Yuan restaurant, to Japanese cuisine at the Nobu or British dishes at Gordon Ramsay’s. Guests are offered complimentary access to Aquaventure which is the most famous water park in the Middle East where you can enjoy thrilling slides at the Tower of Neptune or the Tower of Poseidon. This hotel is located along the famous JBR Walk and 5-minutes away from the Dubai Marina. 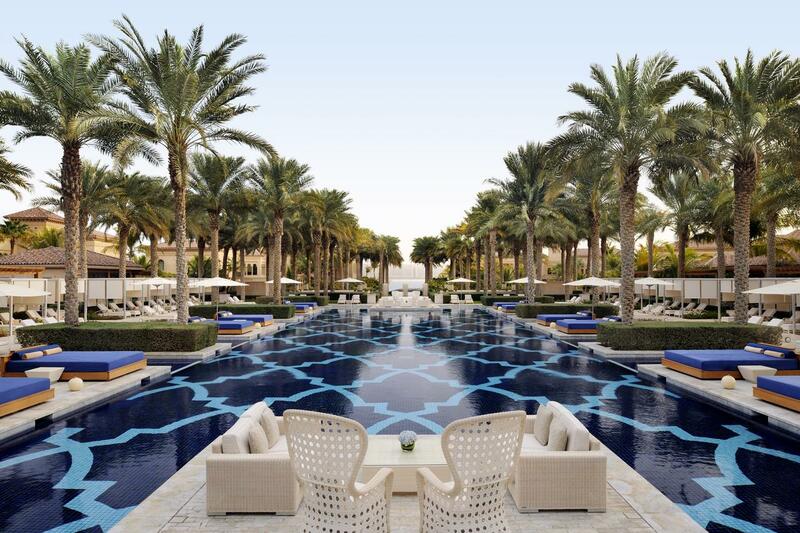 The Ritz Carlton offers 294 amazingly luxurious rooms and suites with sea views and private balconies. It offers first-class spa facilities to all of its guests and six outdoor swimming pools for relaxation and good times. You can enjoy themed meals in the hotel’s 9 restaurants, ranging from Asian to Mediterranean dining but also healthy cuisine provided by the Palm Grill on the beach. Kempinski Hotel & Residences Palm Jumeirah is only a 3-minute walk away from the beach and is located on the amazing Palm Jumeirah. The 244 luxurious suites, villas, and penthouses guarantee 5-star accommodation overlooking the lagoon or Arabian Gulf. Guests can enjoy fine dining at any of the four restaurants and bars. The Brunello Restaurant serves exquisite Mediterranean dishes while the K-West Bar is the perfect place to enjoy your evening cocktails. For a bit of shopping, you can browse through the shops inside the resort or visit the nearby Mall of the Emirates. 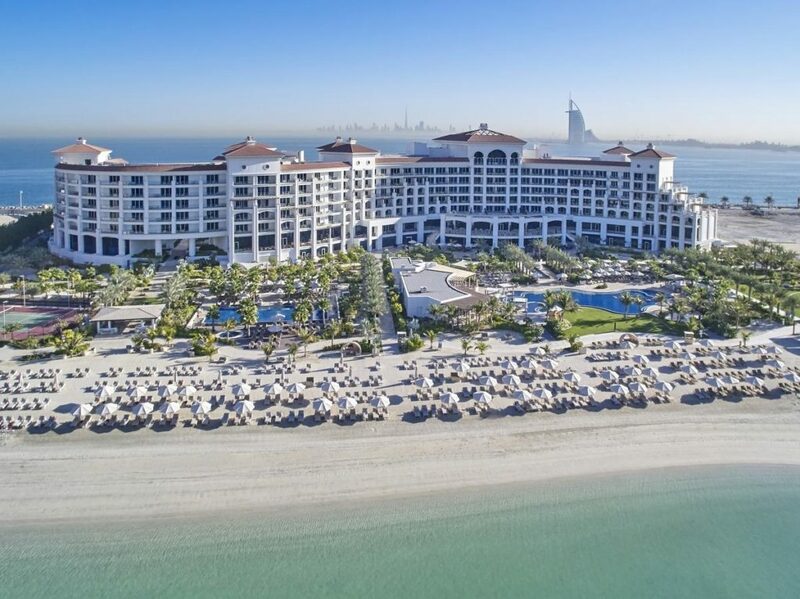 The Resort is found on the exclusive Palm Jumeirah and is an ideal five-star hotel for a luxurious stay in Dubai. The 381 amazingly designed rooms and suites are all family-friendly. Fine dining is at the heart of this resort and you can enjoy exquisite dishes in its 10 restaurants ranging from Brazilian to international cuisine. The resort has four temperature-controlled swimming pools and offers access to a private beach for unique relaxation and fun. Guests can work out at the fitness centre and health club and relax at the award-winning Spa.